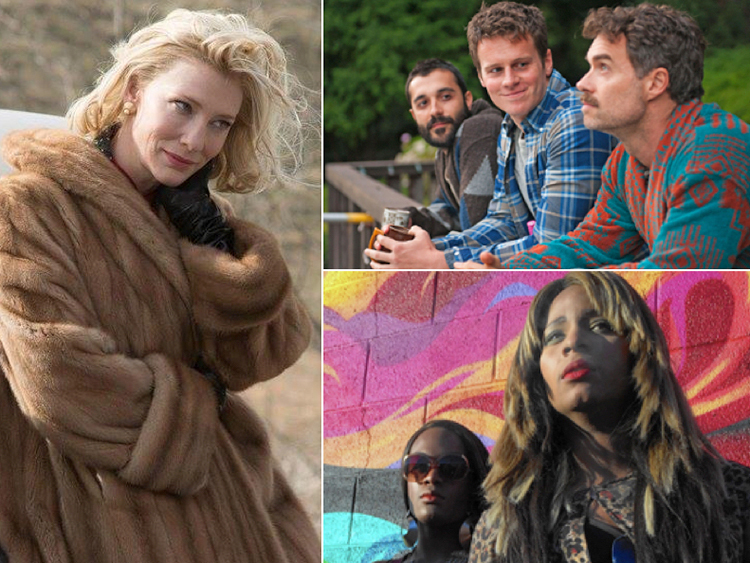 The Gay and Lesbian Entertainment Critics Association showered the Todd Haynes film with accolades and also honored unsung LGBT favorites like Tangerine and HBO's Looking. Much like Therese Belivet in the acclaimed film, the Gay and Lesbian Entertainment Critics Association has fallen in love with Carol. The production about two women embarking on a relationship in 1950s America swept the major categories at the critics group's ceremony, garnering Dorian Awards for Todd Haynes (Director of the Year), Phyllis Nagy (Screenplay of the Year), and Cate Blanchett (Film Performance of the Year), who won previously for Blue Jasmine. Ultimately, Carol snagged LGBTQ Film of the Year as well as Film of the Year. Haynes was also named Wilde Artist of the Year for his deft direction of the adaptation of Patricia Highsmith's novel The Price of Salt. Neither he nor his film were nominated this year by the Academy of Motion Picture Arts and Sciences, a move that has incited much criticism toward the Academy. But Carol was not the only recognized production. The foreign film Son of Saul, the feminist action epic Mad Max: Fury Road, and Amy, a documentary about the late singer Amy Winehouse, also won in their respective categories. In addition, Tangerine, a movie about trans women and starring trans actresses Mya Taylor and Kitana Kiki Rodriguez, was named Unsung Film of the Year. Although the film's Oscar campaign received a last-minute boost from the support of Caitlyn Jenner, it was snubbed in the recent Academy Award nominations. Stonewall, a much-criticized reimagining of the Stonewall riots by director Roland Emmerich, was nominated — in the category of Campy Flick of the Year. Competing against movies like The Boy Next Door, Fifty Shades of Grey, and Jupiter Ascending, it ultimately lost to Magic Mike XXL. Amazon's Transparent received love in the Dorian Awards' television categories. The Amazon show, which had a breathtaking second season that transcended time and gender, won for TV Comedy of the Year. Jeffrey Tambor, the show's star, won for TV Performance of the Year-Actor. FX's Fargo and Netflix's Orange Is the New Black tied for TV Drama of the Year. Following her win at the Golden Globes, Taraji P. Henson was honored with TV Performance of the Year-Actress for her role as matriarch Cookie Lyon on Fox's Empire, which was named Campy TV Show of the Year. The award for Unsung TV Show of the Year went to Looking. The HBO series about gay friends in San Francisco was canceled in 2015 after its second season. However, a film, which is currently in production, will tie up loose ends. See a full list of the winners and nominees here.